Have you ever looked out across the skyline on a particularly cold, cloudy winter day and wondered why the sky looked so… smoggy? The truth is, airborne particulate matter and toxins such as exhaust fumes, smoke from stoves and fireplaces, auto exhaust and vapour are just as vulnerable to freezing weather conditions as we are! When these emissions encounter freezing temperatures just above the surface of our planet, they can crystalize into a fine mist that then forms a visible layer of pollution in our near atmosphere. There is actually a technical term for this—temperature inversion. It is one reason why air pollution and related allergies can and often do worsen during Canada’s notoriously extreme winter season. And while cold and flu season is a known health concern for Canadians of all ages each winter, far fewer people realize how simple worsening air pollution can weaken immune system defences, setting us up for colds, flu and allergies—and missing out on all the fun festivities this season traditionally offers. In this post, learn effective strategies you can use to protect yourself and your family or employees from the impact of winter air pollution. If you have been following along with our blog for some time, you recall there are two distinct types of air pollution: outdoor and indoor. Outdoor air pollution represents the aggregate of what you do, what your neighbour does and what people across the city, state, nation and globe choose to do. We all have some level of impact on the quality of our outdoor air, but there is also much that we cannot control. Indoor air pollution, in contrast, is much more a reflection of the choices you and your housemates make about cleaning products, home heating, tobacco use, candles and incense, pets and more. We have a great deal more control over the quality of the indoor air we breathe. Winter can present special air quality challenges for both outside and inside air. Outside, weather events can conspire to trap polluted, smoggy, emission-laden air nearer the Earth, causing conditions not unlike having stale, oxygen-poor air inside your home. At times, layers of warm air above the Earth trap cold yet polluted air near the ground until a storm or cold front pushes the warm air away and permits improved air circulation and replenishment. Inside our homes and workplaces, continuously running heating systems can dry out the air while oxygen supplies are being depleted and carbon dioxide is building up. At the same time, use of air fresheners, chemical cleaning products, candles, tobacco, wood stoves, fireplaces and other known emission-producing products are releasing toxins into our air supply. 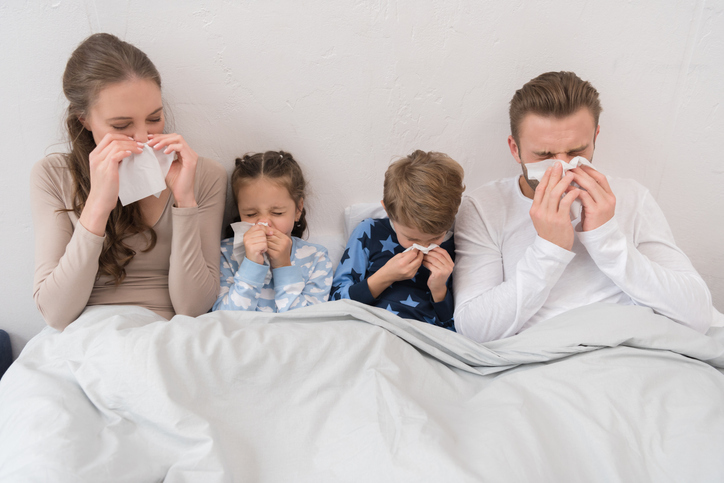 It isn’t a stretch to realize that when the air outside becomes more toxic than usual and our indoor air is stale and dry, even with adequate ventilation, cases of colds, flu, seasonal allergies and respiratory distress will also be on the rise. During most months of the year, Canadians are lucky to enjoy some of the best outdoor air quality in the world today. But in certain months, and especially during winter temperature inversions, you may be faced with a situation where simply opening a window or door is no longer a viable option to refresh your indoor air supply. When both your outdoor and indoor air are poor, it is time to take your air quality management to the next level. The first step to improving your personal air supply is to take a good look at what you put into your air space. A homey fireplace or use of a wood stove may seem like a great idea, but a fire can release volatile organic compounds, carbon emissions, carbon monoxide and other pollutants into your indoor air supply. Similarly, use of many personal care products, household cleaning supplies, tobacco products, candles, air fresheners, and craft adhesives and paints can release noxious chemicals into your air supply. By cutting back on use of these products, you contribute to cleaner indoor air for everyone in your family or workplace. First developed during the second World War to help protect scientists working to develop the atomic bomb, HEPA (high efficiency particulate air) filtration remains the gold standard for indoor air purity. This amazing air filter can trap and contain airborne toxins as small as 1/100th the width of a single human hair! Many hospitals and laboratories today rely on HEPA air filtration to protect workers and help patients heal. While not every home HVAC system can accommodate HEPA-rated MERV air filters, most can be retrofitted to work with an independent HEPA air filtration system that accomplishes the same goal: vastly improved indoor air quality on an ongoing basis. Did you know that ultraviolet light—the same light produced by our own sun—is hands-down the most effective air purifier in the world today? The sun produces three ultraviolet light bands: A, B and C. C is the strongest band and is blocked from reaching Earth by the surrounding ozone layer. Today’s home and workplace ultraviolet air purification systems use ultraviolet band C light to alter and neutralize toxic airborne particulates and gaseous toxins so they cannot harm us. These flexible and multi-purpose ultraviolet indoor air purification systems can be retrofitted to work with any central (ducted) HVAC system. Portable or small space units are also available for non-ducted indoor air quality control needs.